Missionary Benedictine Sisters - Who are We? Our community prayer, the Liturgy of the Hours, and the Eucharist, is the life-giving source of energy and charity. In our community life and ministry we serve God. Through hospitality we welcome Christ in everyone, especially the sick, the stranger and the under-served. 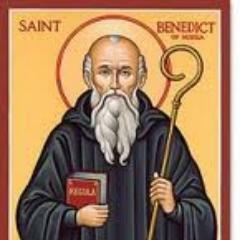 Live the Gospel, rooted in the Rule of St. Benedict, and to proclaim the Kingdom of God. Our founder, Fr. Andreas Amrhein, wanted to renew the idea of mission in the Benedictine tradition. Seek God in Community under a Rule and Superior, pray and work together, in mutual service, support and encouragement, sharing material and spiritual goods with those in need. Prayer life characterized by Liturgy of the Hours, lectio divina and celebration of the Eucharist in witness to the presence of the Risen Lord. Participate in the mission of the Church, to proclaim the Gospel among people who do not know Christ, and where Christ is not sufficiently known, and where the Church is in need. Respect and affirm the plurality and diversity in our international congregation. Conversatio Morum: Encompasses our whole life as Missionary Benedictine Sisters; it is the way of following Christ in religious community under the guidance of the Gospel. It is a continual striving for conversion and seeking to be rooted in God alone. Consecrated chastity- Frees us for a greater love of God nad people and this love impels us to a more intensive apostolate.